The Commission's electoral review of Bath & North East Somerset concluded in December 2018. The aim of the review was to deliver electoral equality for voters in local elections, and recommend ward boundaries that ensure all councillors represent approximately the same number of electors. The Bath and North East Somerset (Electoral Changes) Order 2018, to implement recommendations made by the Local Government Boundary Commission for England (LGBCE) for new electoral arrangements in Bath and North East Somerset Council, was made on 3 December 2018. 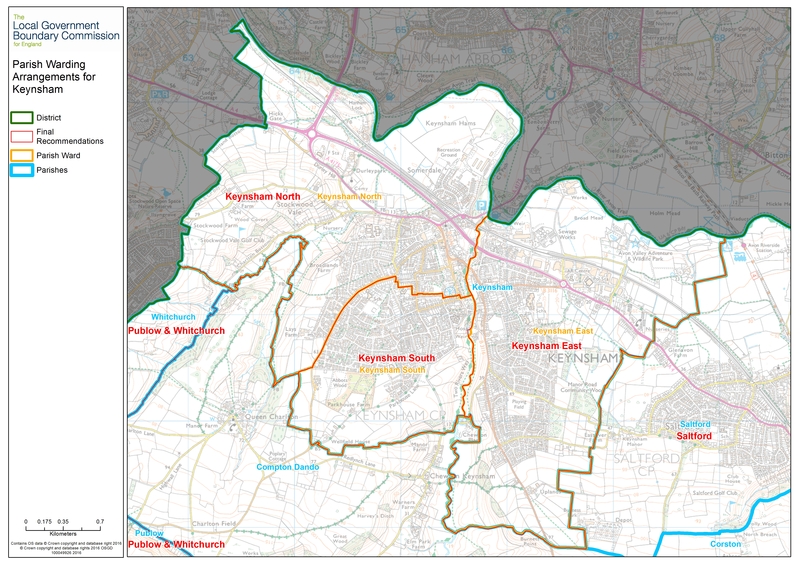 New ward arrangements for Bath and North East Somerset have now successfully completed a 40 day period of Parliamentary scrutiny and will come into force at the local elections in May 2019. The Order for Bath and North East Somerset can be viewed through the following link. On 16 October 2018 the Bath and North East Somerset (Electoral Changes) Order 2018 was laid in draft in Parliament. Now that that draft Order has successfully passed through Parliament, it will give effect to the final recommendations that were consulted on during the Local Government Boundary Commission for England’s review of electoral arrangements in Bath and North East Somerset, and published on 7 August 2018. On 16 October 2018, the Bath and North East Somerset (Electoral Changes) Order 2018 was laid in draft in Parliament. The draft order, if made, would give effect to the final recommendations that were consulted on during the Local Government Boundary Commission for England’s review of electoral arrangements in Bath and East Somerset Council and published on 7 August 2018. The draft order will be laid in Parliament for a period of 40 sitting days. Parliament can either accept or reject our recommendations. If accepted, the new electoral arrangements will come into force at the next scheduled elections for Bath and North East Somerset Council in May 2019. The map referred to in the draft Order can be viewed here. On 7 August 2018, we published final recommendations for future electoral arrangements in Bath and North East Somerset Council. We have now completed our electoral review of Bath and North East Somerset. 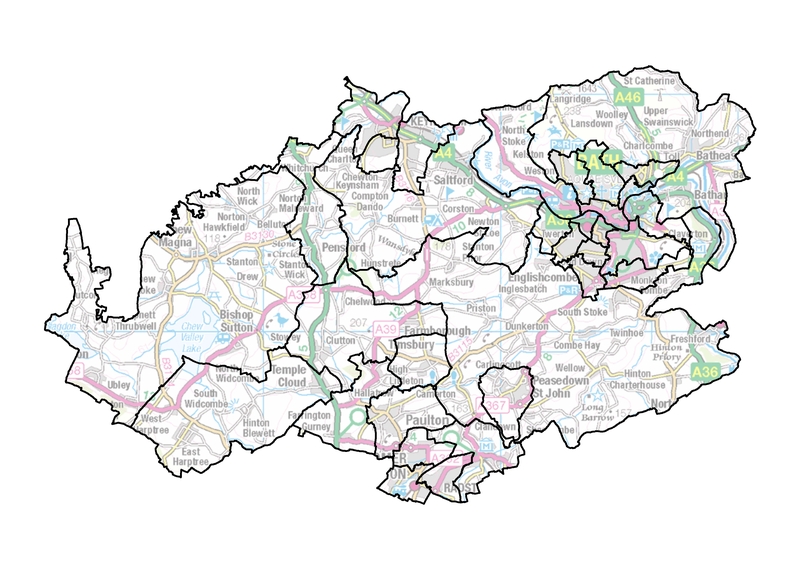 Final recommendations map for Bath and North East Somerset Council - please note: this map is very large and may take some time to download. The draft Order will provide for the new electoral arrangements for Bath and North East Somerset Council to come into effect at the local elections in 2019. The consultation on the Commission’s further limited draft recommendations for the City of Bath closed on 11 June 2018. The further limited consultation on the draft recommendations for the City of Bath has now closed. From 15 May 2018 to 11 June 2018, we accepted opinions and comments (submissions) from the public on changed draft recommendations for Bath and North East Somerset Council. The Commission has listened to the views of the public put to it during an earlier consultation, and proposed to change its plans, to reflect the significance of the evidence we received. Due to the significance of the proposed changes in the City of Bath, the Commission accepted additional opinions and comments (submissions) from local people about the areas affected. The Commission plans to publish its final recommendations for the whole of Bath and North East Somerset on 7 August 2018. The consultation on the draft recommendations for Bath and North East Somerset Council closed on 19 February 2018. On 5 December 2017, we published our draft recommendations for the electoral review of Bath and North East Somerset Council. Between 5 December 2017 and 19 February 2018 we are inviting comments on our draft recommendations. 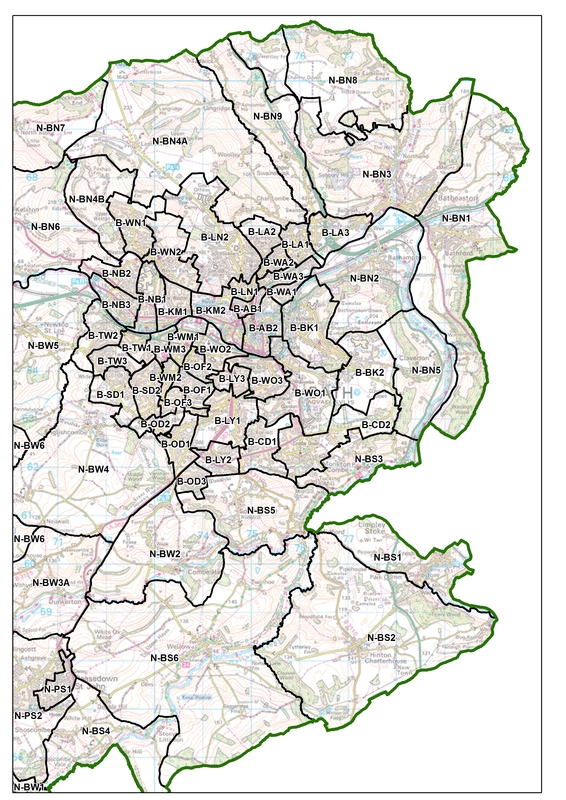 Draft recommendations map for Bath and North East Somerset Council - please note: this map is very large and may take some time to download. The consultation on the warding arrangements for Bath and North East Somerset closed on 2 October 2017. 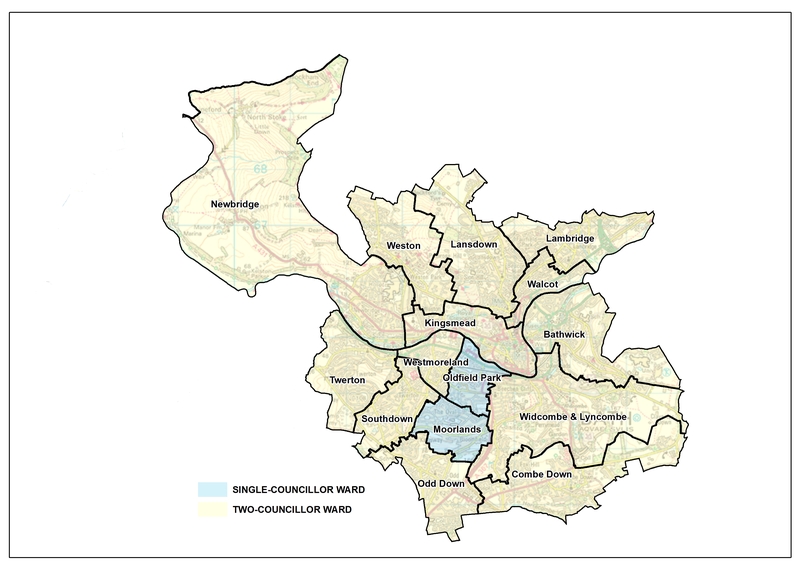 On 25 July 2017, we started the first period of consultation for a pattern of wards for Bath & North East Somerset Council. 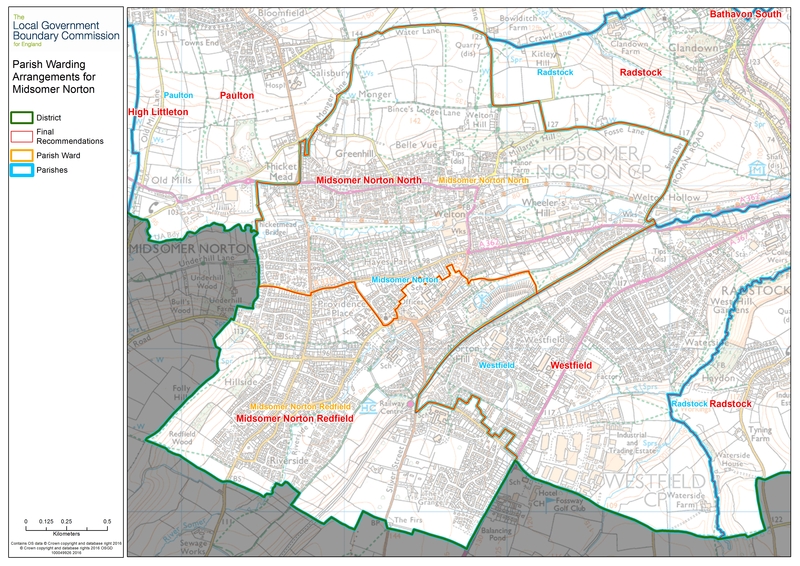 Between 25 July 2017 and 2 October 2017, we invited comments on the ward boundaries for the authority. The Commission also announced that it was minded to recommend that Bath & North East Somerset Council should have 59 councillors in the future; 6 less than the current arrangement. 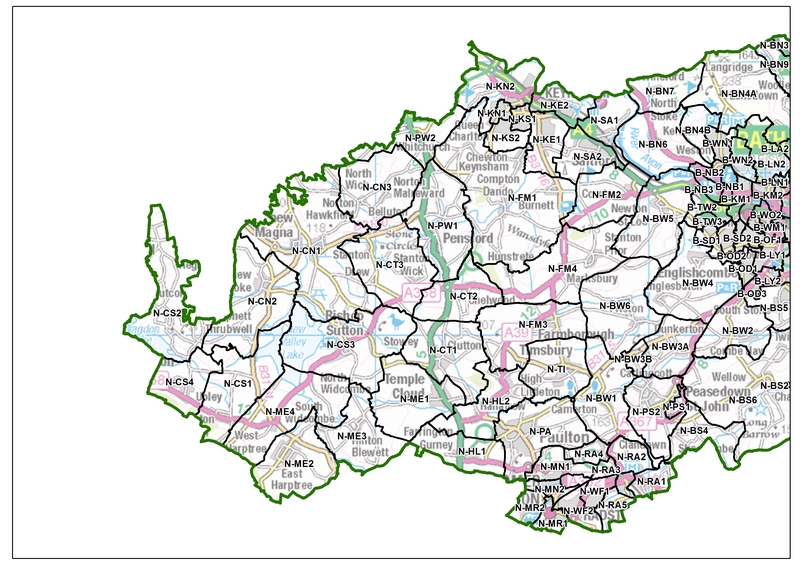 The Commission needed information from people and groups across Bath & North East Somerset to help it to produce a new pattern of wards to accommodate 59 councillors. For more information, read our news release and the letter to the Chief Executive of Bath & North East Somerset Council. 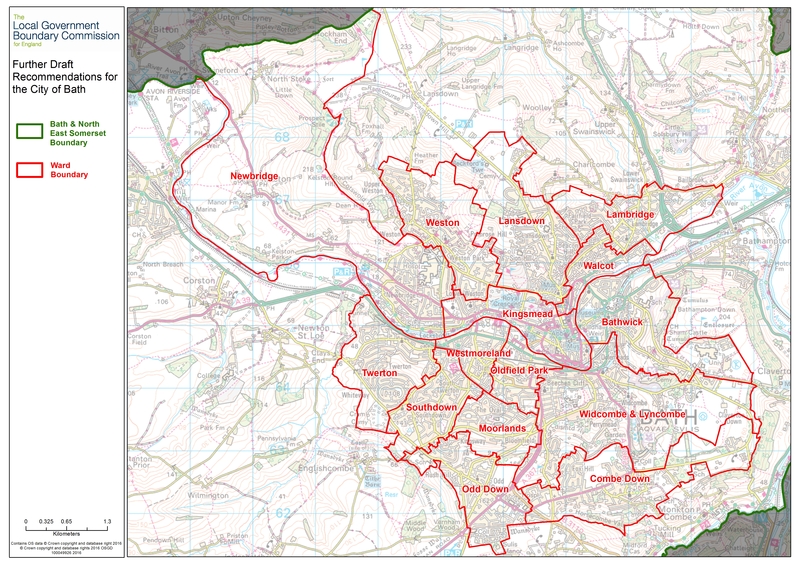 You can view the polling district map below. Please note, polling district mapping data has been supplied by Bath & North East Somerset Council and may contain boundary errors. Draft report (PDF), published on 2 December 1997.